The bustling ski resort of Morzine is a great option for your next ski trip. Near to the airport, budget-friendly and terrain for all levels of skiers and boarders, Morzine is a great option. 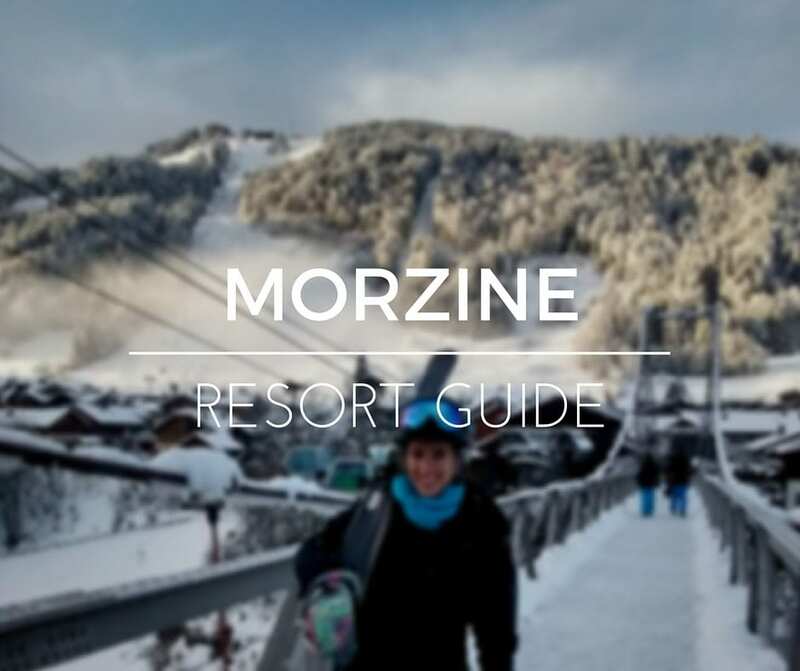 Find out where to ski, eat and stay in Morzine with these insider tips from our local Morzine team. Morzine is situated in the expansive Portes du Soleil ski area, which is made up of 13 different Swiss and French ski resorts. So you can start the day in France, head over for a morning hot chocolate in Switzerland, tackle the moguls on the infamous Swiss Wall (one of the steepest blacks in Europe) and tick off a wide selection of different towns and ski terrain before heading home, well and truly spent. All told, there is 650km of skiable terrain, plenty to keep you busy for the duration of your stay. And although more commonly thought of as an intermediates paradise there is impressive and accessible off-piste terrain to explore, some tricky blacks and a total of 9 snowparks. Morzine & the Portes du Soleil ski area has terrain to suit all levels of skier and boarder. The Morzine-Les Gets is great for beginners with wide open runs around the beginner areas. Les Gets is also great for intermediates with a plethora of gentle terrain to explore. For more advanced skiers, there’s steep terrain around, you just need to know where to find it! 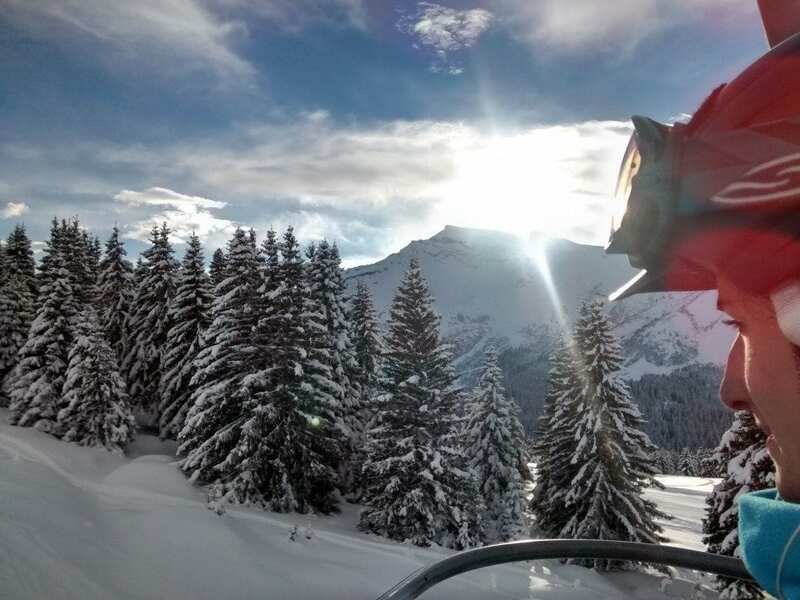 The area also offers some of the best snowparks in Europe scattered around Avoriaz and some incredible off-piste around Lindarets, Chatel and Linga, even the most experienced skiers and boarders will be kept busy from first to last lifts. 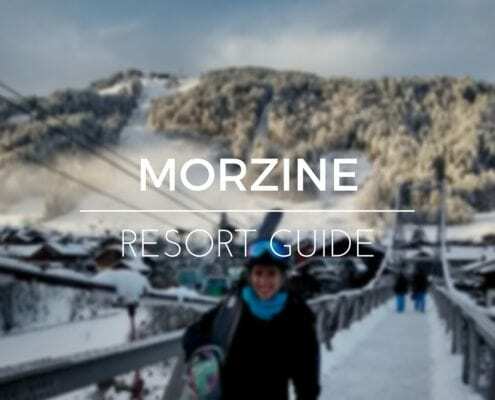 With a high proportion of cruisey blues and gentle reds, more reasonable prices than some of the other French resorts, and close proximity to the airport, Morzine is a great resort for families. Geneva is just an hour and 15mins away. This short ride makes it easy on little ones but also an easily accessible resort for weekend breaks. But let’s be honest, just about anyone could see the appeal of those factors. 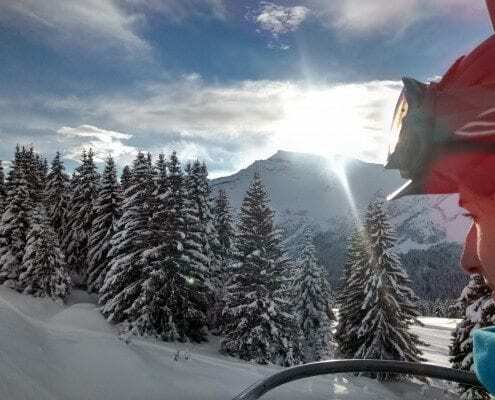 And with expansive terrain and a bustling nightlife, Morzine is arguably one of the best options around for skiers and boarders of all ages and abilities. Not with the family? Morzine is also a great resort for a group ski trip. The Dranse river runs along the bottom of the valley and dissects Morzine into two. There is a road crossing on the valley floor, and a walking bridge slightly higher up the valley to connect the Montriond side to the Morzine side. On the Morzine side, you’ll find the town centre with the Tourist Office, bars, restaurants, shops and access to the Pleney lift, taking you up to the ‘Morzine’ half of the ski area. On the Montriond side of the valley, the Super Morzine lift takes you to the Avoriaz side of the ski area. People generally ski one area or the other in a day, as to get from one side to the other involves a walk or bus ride to get to the lifts to access the other area. 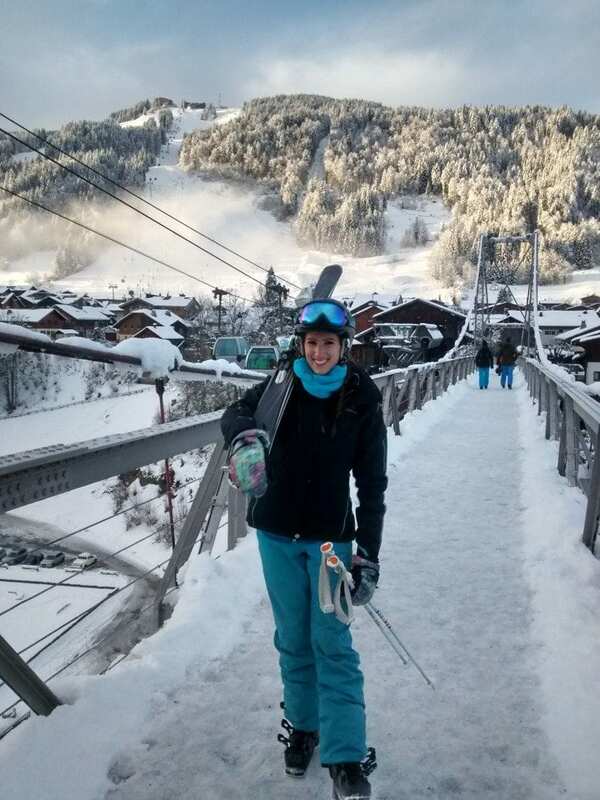 The Morzine New Generation meeting point for lessons is on the Pleney side, but we also offer ski lessons in Avoriaz. Looking for chalet or apartment recommendations in Morzine? Here are our favourites. The Haka Bar – Great après ski burgers and the tapas plate offers a very generous helping of tasty Mediterranean treats. O Chalet Café – Perfect for when you’re feeling a little worse for wear after one too many beers. Grab a kebab, gourmet burger, panini or sandwich. La Remise – A French brasserie menu with galettes, platters, and a highly recommended tuna salad. Satellite Coffee – Perfect if you’re looking for something a little healthier but also super tasty. They do great sandwiches, pitas, smoothies, and homemade soups. As well as tons of tasty baked goods with vegan and gluten-free options. 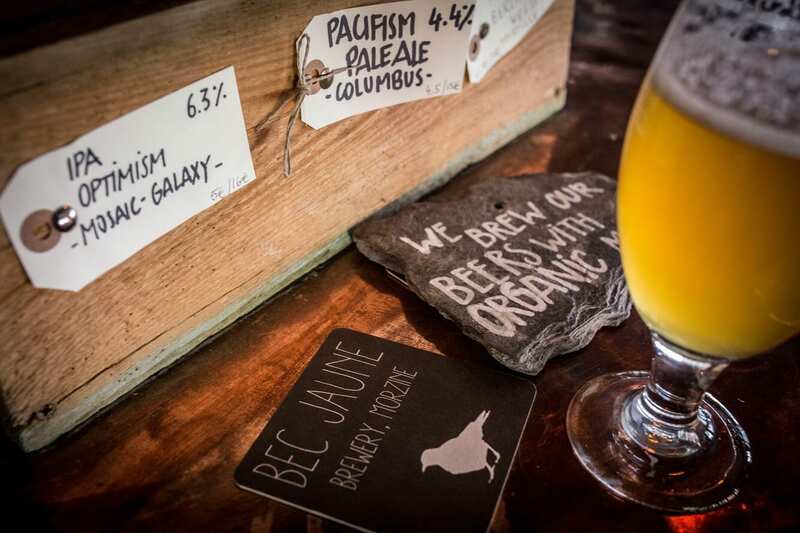 The Bec Jaune is a microbrewery on the outskirts of town that not only brews its own beer but prepares all of its menu on site (including bread and ketchup!). Our favourite is the pulled pork bun, but they also have some nice veggie options and their artery-clogging pork scratchings go down a treat as a pre-dinner snack with a Growler of ale (a dark brown glass jug to transport draft ales and beers). Our Resort Manager Christian has also said that the Scotch egg in Bec Jaune is ‘to die for’! L’Étale – A great meal for chalet night off, they serve Savoyard favourites along with delicious pizzas. Le Rocher – If it’s pizza you fancy you can’t beat this spot in Montriond where we highly recommend the ‘Capela’ with goats cheese, chopped nuts, and honey drizzled on top. Yum! La Chamade – A wonderful gastronomic experience with an amazing cheese bar to choose from. Les Vents d’Anges – French dishes with a contemporary style with excellent service and attention to detail. Do not miss out on the best hot chocolate ever! From a small snack hut in between the ‘Choucas’ and ‘Fornet’ chairlift on the Avoriaz side. Go on a sunny day as you can’t sit inside, but the hot choc is rich, chocolatey and cheap! Want to eat on the mountain? 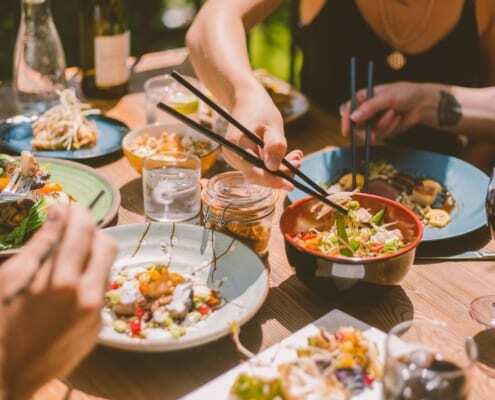 These are the best mountain restaurants in Morzine. Piste A is a great run. It’s wide and steep and gives you the chance to create some big angles. Red run Arbis (up the Chamossiere express) on the Nyon side of the mountain is a fantastic run with smooth cambered turns and tends to always have awesome snow conditions! Chamos is a really cool run which ends in a cool enclosed bridge which gets you across a ravine to bring you back to the town. There is often some good snow to be had around Piste A and Piste R under the Pleney lift. Plus Piste R itself is often un-pisted or at least the last place to get piste bashed, so you can often find some nice lines here when it snows. If you are heading off-piste always go with a guide or someone who knows the area well. Make sure you are carrying avalanche safety equipment and know how to use it. If in doubt, our Morzine team would be happy to help show you the ropes and help you find the best lines. When it’s busy head to the Linderets bowl at the top of the Ardent lift to escape the crowds. The car park at the bottom of the lift is free or you can ski to it from Avoriaz. When it’s low visibility, head for Les Gets towards the Rosta/Ranfoilly lifts. There are a few bottle-necks which can lead to very big queues in peak weeks. The ‘Belvedere’ chairlift to get from Morzine to Les Gets and the ‘Proclou’ chairlift to get from Morzine to Avoriaz/the rest of the Portes du Soleil area. Consider getting a bus to Les Gets/Prodains/Ardent instead. Never been to Morzine before? Here are top tips for first timers in Morzine. Le Tremplin – Good for après and often has a DJ there at the bottom of the piste as you ski into Morzine town. Bear in mind it’s often very cold as the sun goes down and there is not really an inside so come prepared! Happy Hours – Aptly named, this après bar is over Ardent way and often has live bands on. Beanies – A cool place to get some cocktails or nice coffee. You might want to take your ski boots off first though, as it’s a bit of a stomp into town. 1) The Swiss Wall in the Portes du Soleil is so steep that it’s off the charts. That’s right, it’s beyond a black, and therefore classified as an orange run. With 1,000m to ski on a vertical drop of 331m it’s sure to be a super challenge for the experts in your group! 2) An average après ski at Bar Robinsons sees 672 demis (half pints) of super strength lager Mutzig consumed by the revelers. Which is a lot! 3) Try and make it to an ice hockey match in town. The local team (go Penguins!) usually play on a Friday or Saturday night and has a great atmosphere. It’s free to get in after 9:30 if you don’t want to pay the €12 ticket and just fancy catching the last hour or so. If you’re heading to Morzine and you’re looking for some lessons or guiding to ensure you get the most out of your trip then be sure to look up our Morzine Ski School team. Or if you’re looking for more options for your next visit, check out our Courchevel, La Plagne, La Tania and Méribel insider’s guides.